In case you wanted to see Tom Hardy play James Bond, you need to make sure that you don’t ask him about it. Given that he’s no stranger to an action movie role, that he’s very stringent about his privacy, and that he makes us swoon with his willingness to shut down sexism and play with loads of dogs, we think that Tom Hardy would be the PERFECT fit to play the iconic British spy, a character that has seen more different forms and iterations throughout the years than any other. However, if we want to see Tom Hardy join the popular franchise, we need to stop asking him about playing James Bond. 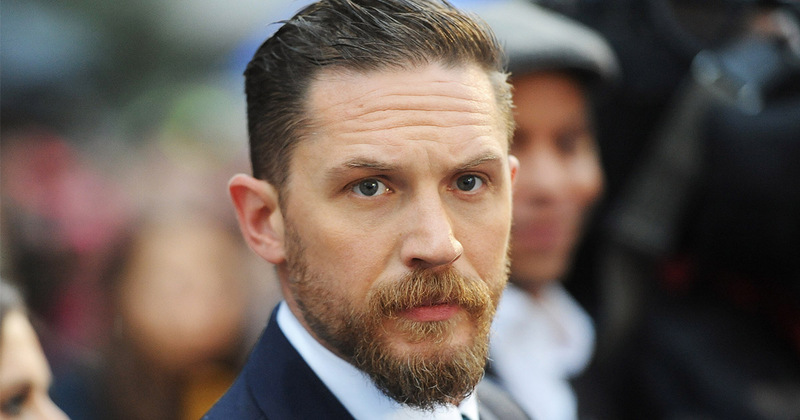 In an interview with The Daily Beast, Hardy was quizzed about whether he’d be up for playing Bond. While he was obviously interested in the role (and who wouldn’t be, tbh), he did mention an unspoken pact that actors have. Given that Daniel Craig has turned James Bond from a stuffy character into a gritty one, we’d love to see Tom Hardy explore more of Bond’s darker side while adding a layer of charm that we know he’s so good at delivering. While he was reticent about discussing whether he was in the running, Hardy responded with enthusiasm when the asked about his longtime collaborator, director Christopher Nolan, and the possibility of Nolan directing a Bond movie. "Chris Nolan, what a fantastic director for a Bond movie," he gushed. "Because Daniel [Craig] is so good, and what [Sam] Mendes and Barbara [Broccoli] have done has been so impressive, that it would be a very hard re-imagination to follow after. I wonder what the next installment of that franchise would become, and I think when you mention someone like Christopher Nolan, that’s a very powerful figure to bring into that world who could bring something new and create something profound—again." We have to say, we totally agree with Tom Hardy here. However, we’d only really want to see Christopher Nolan direct a Bond film if Hardy himself were playing Bond. We’ve got our fingers crossed.